In this continuing series about cloud services, we’ll delve into more cloud computing choices for smaller businesses, this time looking at those beyond the startup stage that have 50 or fewer employees. 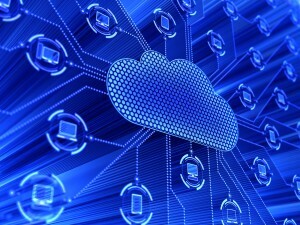 Cloud computing is a big term that encompasses a lot of services. Most common are Software-as-a-Service (SaaS), which offer one specific service or application. Many of the following examples are SaaS services. Cloud computing can also include Platform-as-a-Service (PaaS), which gives businesses a platform to create (and integrate into one platform) custom apps, databases, or services. SugarSync for Business allows you to sync and share folders or files from any Mac, Windows computer, iOS or Android device. One nice feature is an included Outlook plugin so you can simply email links if you’re trying to send larger files, rather than attach an entire file. SugarSync also includes single-point billing features and disaster recovery. Cost: 30-day trial; $55 per month or $550 per year for up to three users; $125 for each additional user. Boasting military-grade security, MozyPro lets you schedule backups at whatever interval you want, and will back up critical files on servers, desktops, or laptops. It’s compatible with both Mac and Windows. It also syncs files and documents. Cost: 30-day trial; $40 per month for 100 GB on unlimited computers; $12.99 per month add-on for backup servers. Carbonite also backs up files and folders on both Windows and Mac computers. It’s competitively priced, and Carbonite has a “valet install” option that means it will remotely install the software for you. A business premiere upgrade allows you to add support for Windows servers, but not Mac-based servers. Cost: 30-day trial; $229 per year for 250 GB on unlimited computers (doesn’t include servers); $599 per year for 500 GB (includes servers). With App Engine, you can build, maintain and scale web applications on Google’s infrastructure. An added bonus is that there are no servers to worry about – just upload your application and go. It supports apps in several programming languages, including Python, Java, PHP, and Go. Cost: Pricing ranges depending on what features you use, and how often you use them. Ideal for small businesses that don’t have the time or resources to get handle loads of administrative paperwork, Office Time records billable hours as you work and generates invoices and reports based on those hours. It’s compatible with both Windows and Mac. Office Time also offers great customization options, and a one-time purchase cost instead of subscriptions.